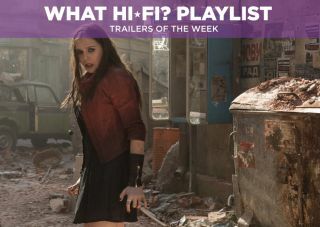 Trailers of the Week: Avengers: Age of Ultron, Orphan Black, Community and Mr Holmes | What Hi-Fi? The final trailer for the Age of Ultron is upon us and it sets up a superhero smackdown between the Avengers and Ultron (with Scarlet Witch and Quicksilver tagging along). IMAX tickets for the film are now on sale. Last week we saw a snippet of the opening episode; this week we have a full trailer for the third series of Orphan Black, which shows more of the male clones (played by Ari Millen). There's no release date in the UK for the third series but history says to expect it to come out in late April. The sixth series Community (can you believe it?) is almost here and this trailer has a decidedly Age of Ultron feel. A number of cast members have left, but with Dan Harmon still at the helm we're expecting a solid season of laughs. In the US the series is being shown on Yahoo Screen (no, us neither) but in the UK it will be on Sony Entertainment Television. Gandalf, Sir Ian McKellen is back on the big screen and he's playing a role tailor made for him. He takes on the mantle of Sherlock Holmes in his later years as he looks back on his life – specifically an unsolved case involving a beautiful woman. What are the odds he'll solve the one case that's eluded him all these years?